Facebook is definitely the most popular social media platform. It has millions of active users and the number is only increasing over time. It is not only useful for sharing personal stuff with friends and family, but also increasing brand visibility of a business and attracting more customers. It is a good medium of sharing your thoughts and ideas with the vast audience out there and also to get their feedback and vice versa. But, how can you make your voice heard to the audience beyond your friend list? If you follow certain tactics, the online traffic will definitely increase to your Facebook articles and blogs. ·Use Different Types of Posts: If you post your articles and blogs on a regular basis, chances are you will end up writing in the same manner and same structure. This can create a negative impact on your blog posts. Try to come up with different manners of writing, technique and wording. This way the readers will always find sometime new in your post every time and will want to read it more. Never be predictable with your writing and topics, as it may do more harm than good. You can do some analytics and find out what type of posts attract more readers and appeal to the public. ·Media Clips: Do not write the articles and blogs in just plain text. Make it catchy with links, photos and even video links. You can include some infographics in the body as well and make it more colorful to the readers. ·Ask Questions: This is the latest trend used by many bloggers and brands and it gives good results as well. Research shows that the net users often search the internet with questions. Hence, this also helps with the search engine optimization process as well. ·Ask for Audience Feedback: Create a section in your blog called audience feedback and advice. This section will help you connect to your audience better and help you understands ways in which you can improve your readership. ·Use Excerpts from Your Previous Articles: If you have a large following you can use excerpts from your previous articles or blogs as quotes. 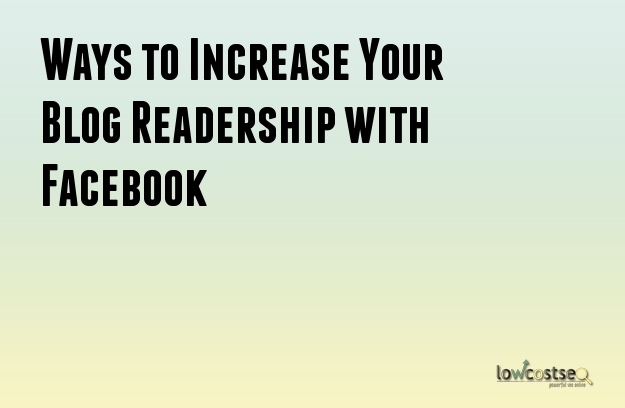 This will create better engagement in your audience and you will be also able to diversify the message that you want to give to your readers. ·Re-share and Recap Your Posts: If you want to make your posts more impactful, you need to do regular recaps of the articles that you have written previously. You can do it on a weekly or monthly basis in different topics and genres. You can also do video recaps of your posts. There is a video option available on Facebook, you can re share them or embed the links in your latest articles. Optimize the Posts: The best way to drive the traffic to any web page is by search engine optimization. You need to enter certain specific keywords in the content in order to get the best results. Researching the right keywords in very crucial for getting the best results out of the process.